Cornbread is something I don’t think I ever tried until I was an adult. We didn’t tend to eat many dishes from the Americas anyway (I don’t count taco kits! ), and although I remember occasionally eating soft polenta with stews, I don’t think we ever used polenta or cornmeal in baking. 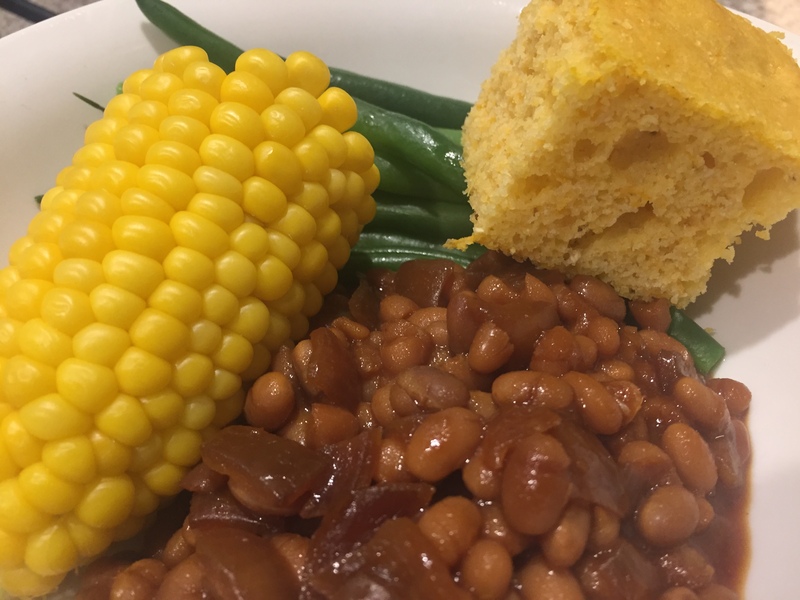 I started eating cornbread when I began eating a lot of vegetarian ( often bean based) dishes as a student in my late teens or early 20s. 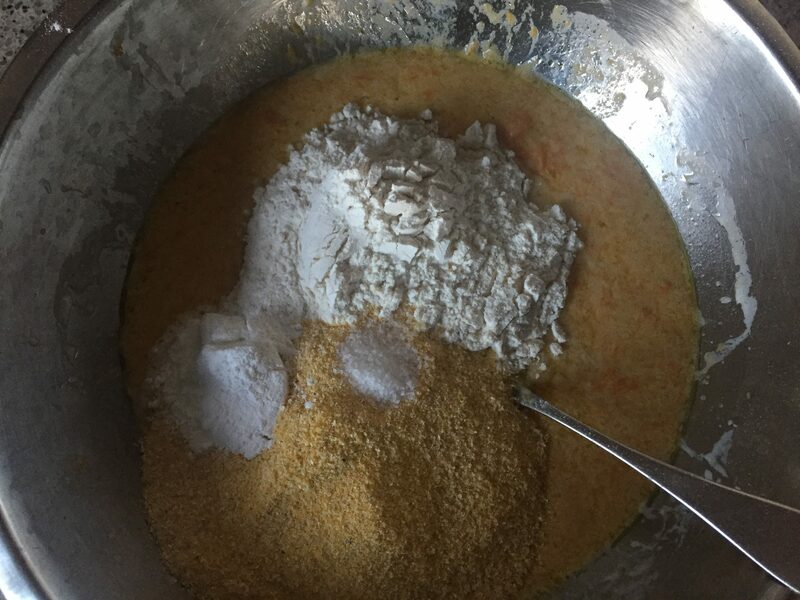 I was fascinated to find there is such variety in cornbread recipes, with completely different cornmeal types, other ingredients and cooking methods. 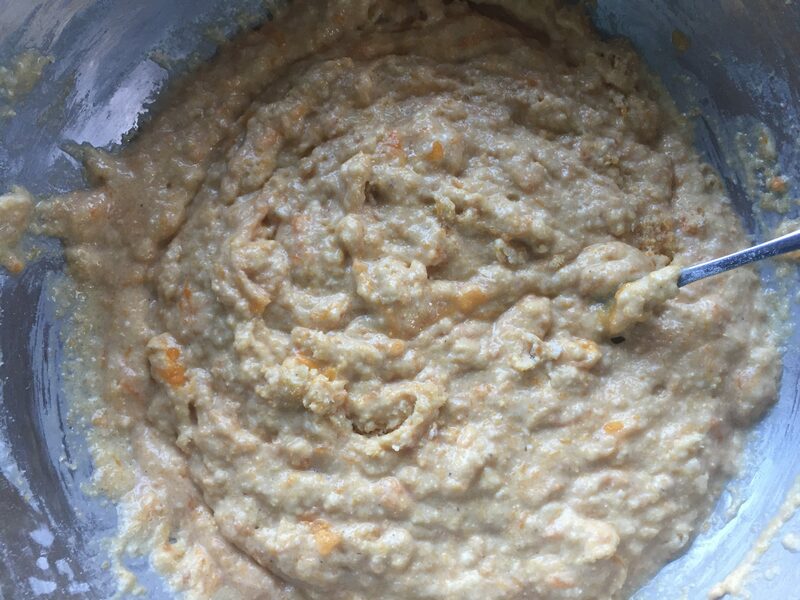 If you haven’t cooked with cornmeal before, remember that it doesn’t contain gluten, so you won’t get the same texture as a bread with all wheat flour. It also tends to have a characteristic slightly gritty texture, like rice flour, which I really like, but that can seem a little unusual. 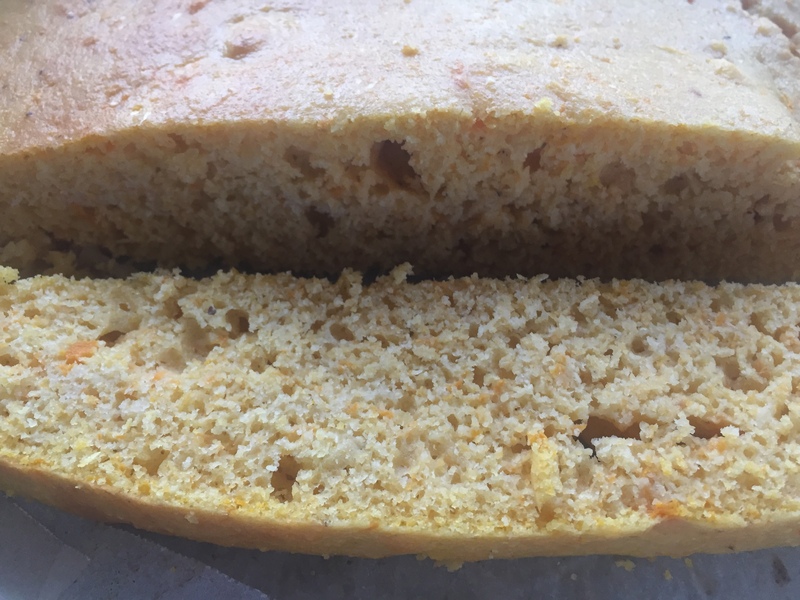 This recipe is my favourite cornbread, as it’s clearly a <bread>, in that it has relatively little sugar and fat (not the sort of cornbread that’s more like a cake or fried pastry), but it still has plenty of moisture and richness from the pumpkin. 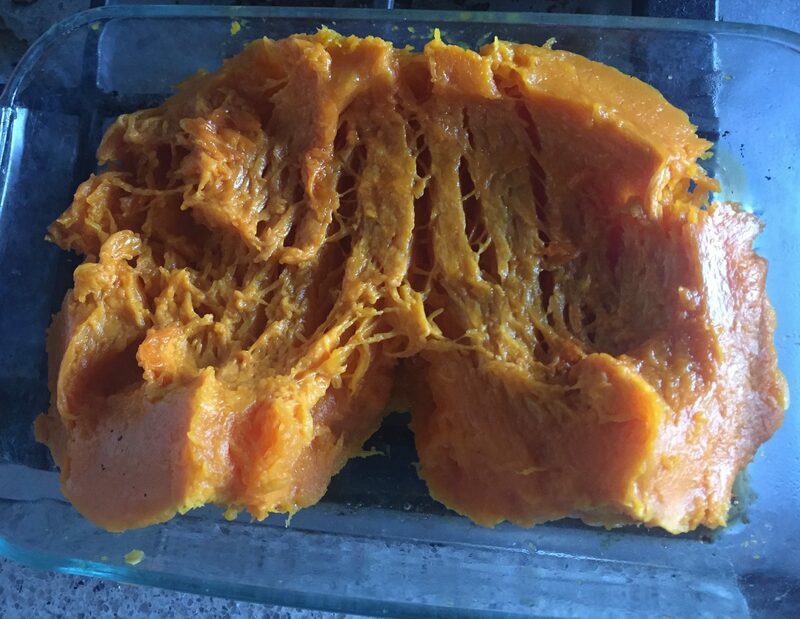 The problem I find with cornbread is that it can be a bit dry, and the pumpkin prevents that. I also really like that when I eat this with beans the meal contains all of the classic Mesoamerican Three Sisters – that vital trinity of corn, beans, and squash that grows so well together. We most commonly eat this with my favourite baked beans recipe, as pictured at the top. Let me know if you eat or make cornbread, and your favourite way of eating it. Whisk together the cornmeal, flour, salt and baking powder. 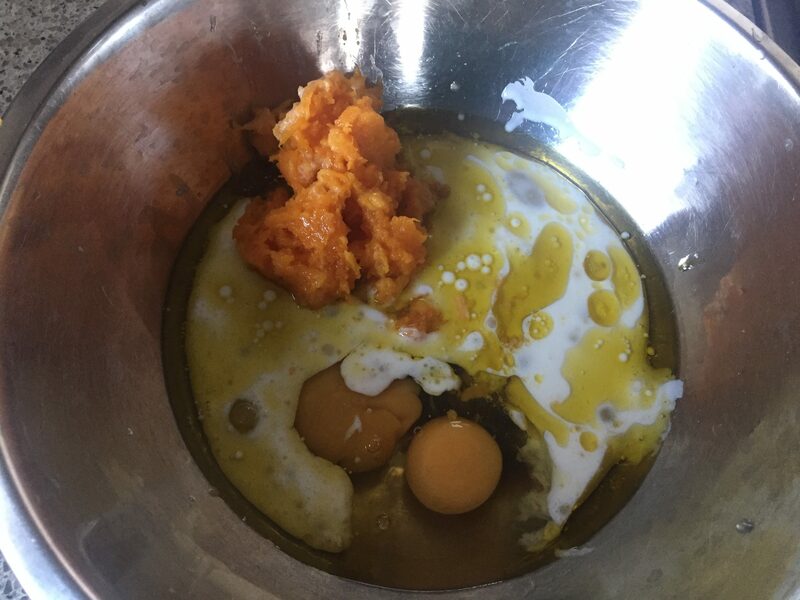 Separately whisk together the sugar, eggs, buttermilk and pumpkin until thoroughly mixed. Add the dry ingredients to the wet, and gently fold together with a large spoon or spatula until just combined. Pour into the tin, and bake for 20-25 minutes until firm, golden and a skewer comes out clean. Cool slightly and serve either warm or room temperature. More yum! I’m going to get homesick! We used to call it Johnny cake… not sure where that name came from?